In a large organisation, communication is crucial for maintaining workflow and keeping everyone in the loop. It’s likely that, as the owner of a distributions company, for example, your staff will be using handheld computers to keep in touch, capture and manipulate data, and maximise efficiency. 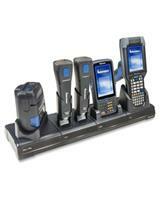 Because handheld PDAs and computing devices are portable, they require charging to keep them from running out of power. It’s complicated to navigate tangled wires and keep track of multiple chargers, especially if they’re stored in many different locations around a large building. The last thing anyone wants is for their portable console to shut down before they can find somewhere to charge it. 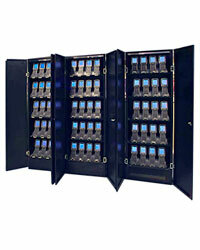 VisionID works with UniqueID to supply you with storage and charging cabinets for your handheld computer solutions. 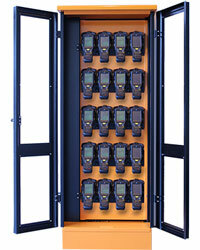 Having a single charging and storage point means employees know where they can plug in their handheld computers and PDAs and helps account for each individual item to reduce losses and the possibility of theft.